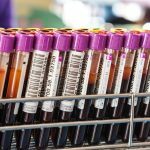 Dr. Rick Kaufman from Brigham and Women’s Hospital in Boston joins Dr. Chaffin to discuss resolving the anti-CD38 interference with blood compatibility testing. 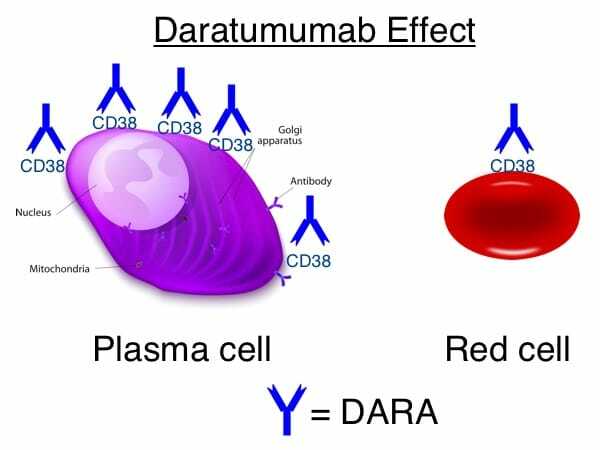 Since the multiple myeloma drug with the funny name, “daratumumab” (or just “DARA”), was approved in the United States in late 2015, there have been many words said about “communication” and “DTT” and “panagglutinins,” but many blood bankers are still confused. Dr. Kaufman is an international expert on how to deal with the interference that this drug (which is really just an antibody!) 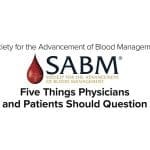 has on pretransfusion testing, and he generously shares what he has learned from extensive work on this issue in his transfusion service and laboratory. 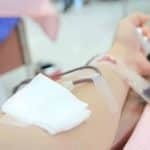 Therapies such as this are becoming the norm in medicine, and blood banks can expect to deal with these issues more and more often, so have a listen and get ready! DISCLAIMER: The opinions expressed on this episode are those of my guest and I alone, and do not reflect those of the organizations with which either of us is affiliated. 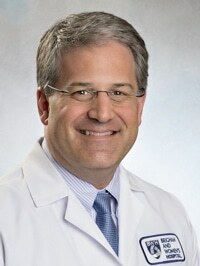 Dr. Kaufman would like you to know that he has received reagents and research funding from Janssen, Inc, and that he serves as a consultant for Janssen. Images 1-5 below are generously provided by Dr. Kaufman. 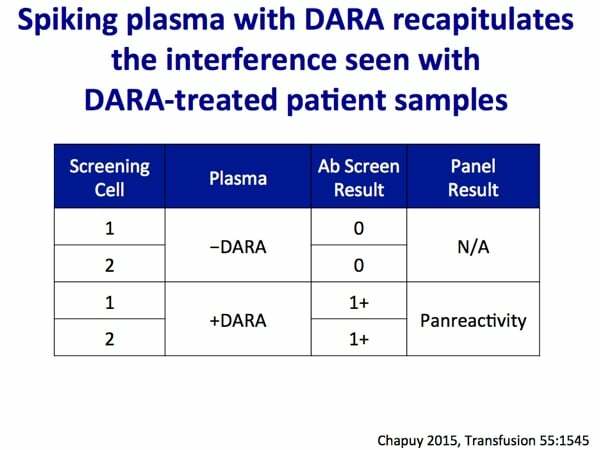 Especially note slide 4, which is really the key to understanding why DARA causes a problem for pretransfusion testing. Slide 6 is a bonus from me showing the shared CD38 expression on plasma cells and red cells. 06:44: Why DARA? What’s the need? 10:40: Terminology check; What does “-mab” mean? 14:20: Is DARA working for myeloma? 16:00: What is a course of DARA? Chapuy CI et al. 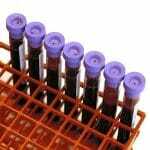 Resolving the daratumumab interference with blood compatibility testing. Transfusion 2015;55;1545–1554. Oostendorp M et al. When blood transfusion medicine becomes complicated due to interference by monoclonal antibody therapy. Transfusion 2015;55;1555–1562. AABB Association Bulletin 16-02. Mitigating the Anti-CD38 Interference with Serologic Testing. January 15, 2016. Darzalex prescribing information. https://www.darzalex.com/shared/product/darzalex/darzalex-prescribing-information.pdf (accessed 05/28/2016). Hi,Dr.Chaffin!Can you tell me what the player is? I don’t know why I can’t listen the podcast.The button on the player is not useful.I can’t use the player.Maybe I should download a player and install it. Do you have an educational letter that you send to your clinicians in regards to Dara? Garrey I did develop one for my blood center that I can’t really share as it is theirs not mine. However, check out the AABB Association document from earlier this year; it’s really great and can be used to develop your own! Great podcast! Thank you! Would DARA cause an anti-CD38 mediated immune hemolysis? Or just in vitro pan-agglutination? Generally, it seems that the issue is primarily a lab testing issue rather than a hemolytic issue. There may be some mild hemolysis due to the anti-CD38, but severe hemolysis does not seem to be something to worry about. Thank you! Please keep up the amazing work and podcasts. Thank you Dr. Chaffin for another interesting podcast. I had the same question that whether we should worry about the IgG-mediated hemolysis in vivo. Good to know that there is no severe hemolysis. However, even if we tried our best to avoid the interference from Dura and get the least incompatible blood, those anti-CD38 circulating in patient’s body is still going to target the RBCs (both patient’s and transfused donor cells), and cause some extravascular hemolysis to happen. Should we consider that the transfused RBCs’ would not last as long as they normally do, so that the transfusion outcome (i.e. post-transfusion RBC count increase) might be slightly lower than what we usually expected? Thanks! 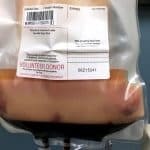 The level of hemolysis is very minimal, if at all, so I don’t really think that most people consider it to be a significant issue in terms of the patient needing a transfusion sooner than expected. I just started listening to your podcasts. They are wonderful! It was mentioned in the podcast on DARA that the DAT is usually negative. Why is that? 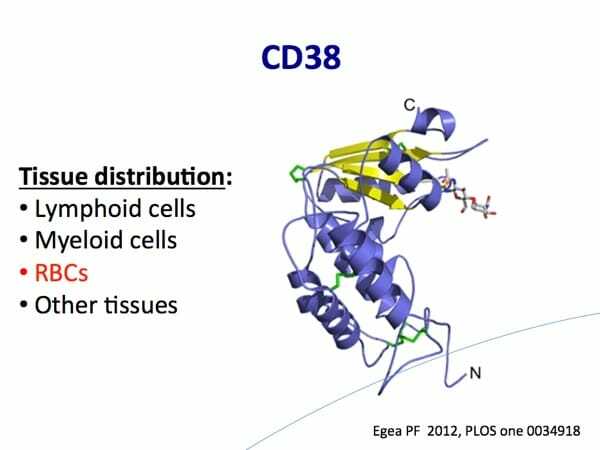 The patient’s cells should be expressing some CD38 markers similar to the panel cells. I would imagine that since the panel cells are all reacting that the patient would have a positive autocontrol and DAT. Cindy, first, thank you for the kind compliment! I am glad you like the podcasts. 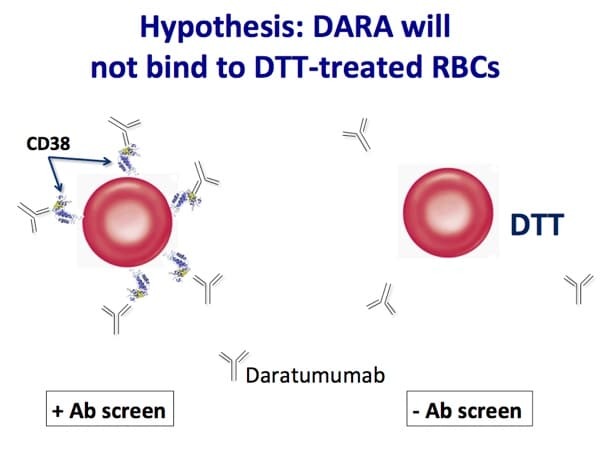 As to the DAT and the autocontrol, you are correct that the DARA effect would also be present on the patient’s own RBCs, and both the DAT and the autocontrol can be positive. However, remember that for the DAT, the patient’s RBCs are just pulled out of the body, washed, and reacted with AHG. The reagent RBCs are incubated with the serum/plasma containing anti-CD38 in a wonderfully warm and binding-friendly environment (our nice incubators, in a concentration designed to promote binding), and so it isn’t surprising that the reactions might be stronger in the antibody screening and -ID cells than in the DAT. Don’t let it hang you up, though, because while the DAT is often negative, it doesn’t HAVE to be for the reactions to be due to DARA! I hope that helps. We have a patient that was on the DARA treatment. We were sending his specimens to out reference lab and they would send us least incompatible units, negative for K, C, Fya, and Jka. The patient is no longer on the DARA treatment and now his screens and panels are negative. Is it okay to crossmatch him with units we have in house as we do our other patients or should we continue to send his specimens to the reference lab? 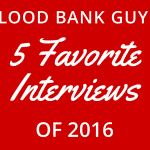 Shana, once the DARA effect is gone (which, as you know, can take months), and the antibody is no longer visible, I think that it is more than reasonable to return to standard blood banking practices. So, I personally would return to treating the patient as a routine patient. However, you need to make sure that is in line with your local medical and technical experts (of which you may be one; forgive me for not knowing your exact role). Thanks for writing! 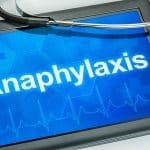 great episode, and very interesting topic! But, I don’t really understand why the ABO/Rh typing are not affected by DARA ?! Rick: …ABO and Rh testing is not affected at all by DARA. Rick: Oh, so, the tests that get affected are really those where you’re using red cells and antibody that IgG binds, and then to detect that binding, you add in anti-human globulin or Coombs reagent. Basically, antibody against Fc that will cause cross-reaction and cross-linking and agglutination of antibody-coated red cells. In the case of ABO and RhD testing, the reagents that are used are IgM, so they’re sort of directly agglutinating and so the DARA doesn’t affect them at all. I hope that helps, Luci! It’s really just a situation where the antibodies we use to detect ABO and Rh antigens are super-strong, and they grab their corresponding antigens quickly and efficiently. 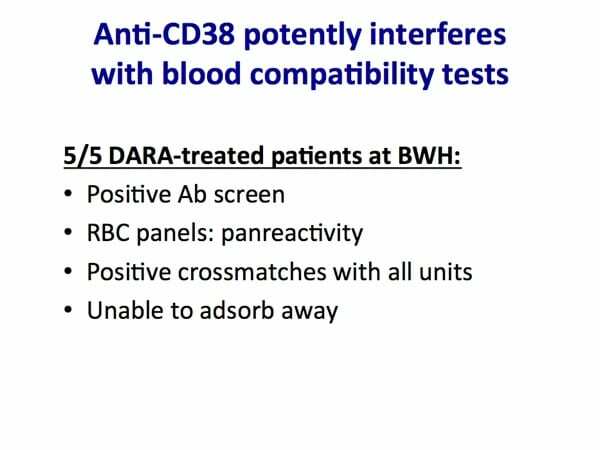 The DARA effect happens because antibodies coating CD38 are just kind of “stuck” to the RBC, and the anti-human globulin reagent binds to them and gives reactions on all the RBCs. That step (the anti-human globulin phase) is not needed with the ABO and Rh reagents, in general. I have a question. Does the DTT destroy all Kell antigens og just the K1? Do I have to use antigen negative blood for all Kell antigens or just for K1 on patients using DARA and who could not be fenotyped before they started with the treatment? Mariana, DTT pretty much makes the Kell antigens all go away. However, that does NOT mean that you have to try to give Kell null blood to any patient you haven’t phenotyped before DARA was begun. 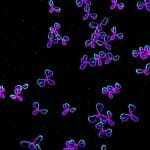 Kell null blood is super-rare, and the reality is that the likelihood that a person has made a Kell antibody other than anti-K is really small. Most reference labs have the capability to do molecular typing in the situation you described (no phenotyping before treatment), so you can find out pretty quickly what the expected Kell phenotype is, and THEN you can match the patient for Kell system antigens (pretty easy in most cases). Hi. I love your website and I’m currently trying to review everything. I have a few questions about DARA patients and DTT. We are currently sending all DARA patients out to ARC reference lab, several times a week due to our cancer center. 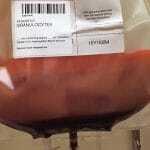 Is DTT available through blood banks in hospitals? 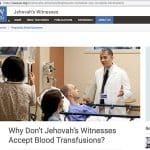 How are other hospitals handling the increase of DARA patients, since May of this year its been approved for patients that are not eligible for stem treatment from my understanding, that need transfusions? We’re just looking into solutions for the very near future to handle DARA treated patients. 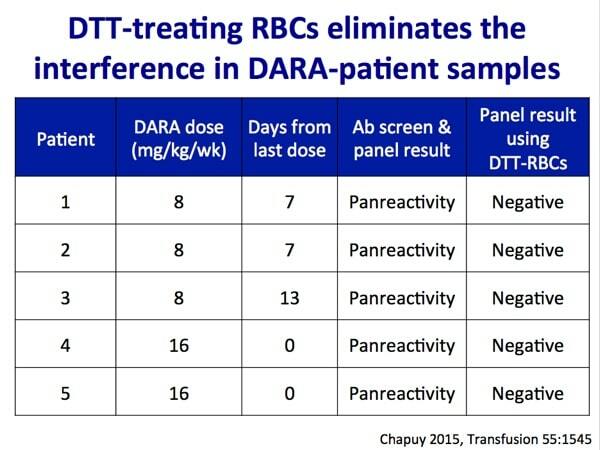 DTT is certainly something that can (and is) used in hospital transfusion services. It’s something that, with proper training and experience, does not HAVE to be a reference lab send out. As far as the increase, I can tell you my reference lab is certainly seeing more cases, but I can’t tell you how every hospital is handling it (obviously). I AM WORKING IN HOSPITAL,MY QUESTION IS WHY K NEG DONOR UNITS RECOMMENDED TO DARA TREATED PATIENTS. This is discussed in detail in the podcast, but the short answer is this: If DTT (which destroys Kell system antigens as well as CD38 on RBC surfaces) is used to make the antibody screen negative, then we can’t be sure that the patient does not have anti-K. Therefore, we recommend K-negative RBCs to patients who are either K-negative or of unknown K type.